Like literally I am getting a headache just looking at how colourful and bright the photos above are. But that doesn't mean I didn't enjoy myself! I live for concerts it's basically what my life revolves around. However I will admit the effort of getting ready and going on a bus and the expense etc was all getting me worked up over the show the day before and the day of it. 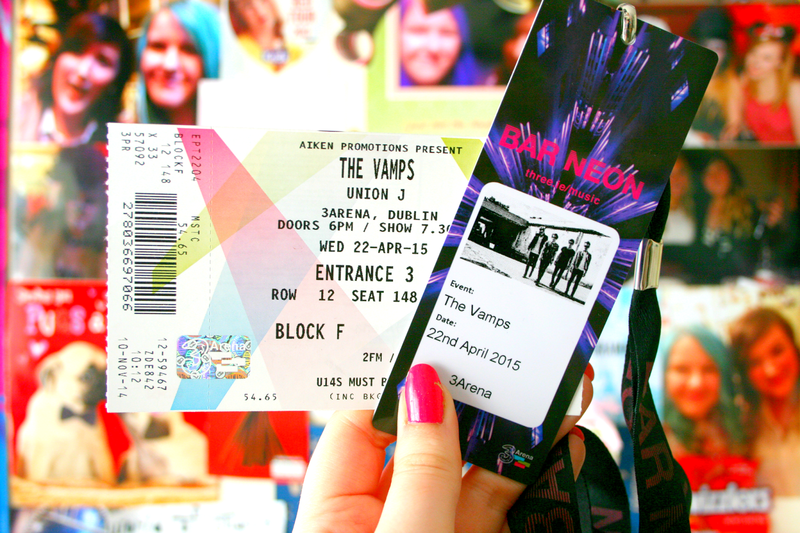 I had bought these concert tickets well over a year ago and a lot can change in a year. Myself and my Best Friend weren't even sure we wanted to be there continuously joking while the support acts were on saying 'Why are we here' and 'Are we the oldest ones here' etc etc but once The Vamps came on we were up out of our seats dancing and singing along and really enjoyed it! 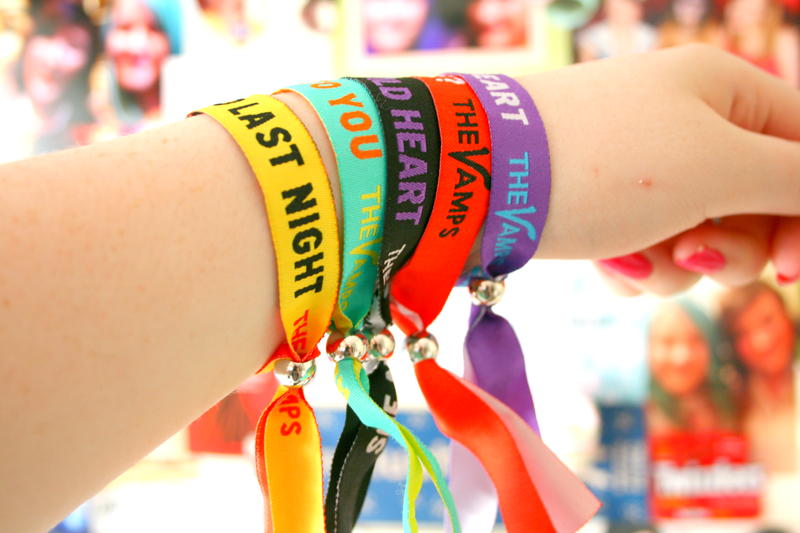 Yesterday was my third or fourth time seeing The Vamps and more than likely I would go and see them again. However today I have not been able to move so much so that it was an effort to open the door to the post man this morning! (I've been up since 7 okay I am allowed to complain a little). Between alcoholic beverages to jumping and dancing about and singing I physically just well feel like death! When I was younger (I'm only talking about 2/3 years ago) I used to go to concerts like 3 days in a row and once even went to two concerts on the same day! Where I got the energy is beyond me to be honest. However the countdown to my next concert is already on, 35 days to go! Are you attending any concerts soon?